Disney is making a new animated Winnie the Pooh movie! 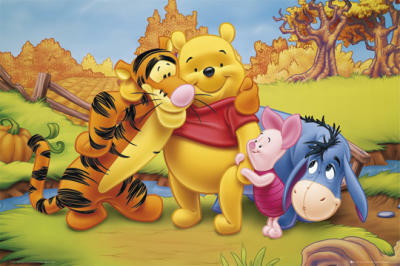 The movie features an all new story and is titled “Winnie the Pooh.” I am so excited! It has all the old characters – including Christopher Robin. The movie will be coming out in 2011. That is a great trailer! It looks like the new Winnie the Pooh movie will capture the spirit of The Many Adventures of Winnie the Pooh. I also really like that you can see fur on Winnie the Pooh.